Slay Ride is on December 20th and 21st at Old Bridge Township Raceway Park. This is the last event of the 2014 season. 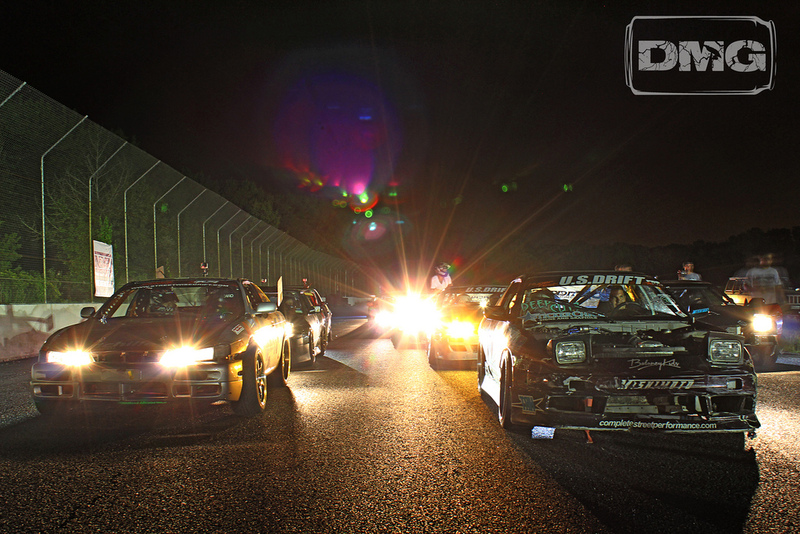 It’s 2 days of drifting, partying and doing whatever it takes to stay warm. This is also our last chance of the year to raise the rest of the money for Forgotten Turn. We are getting real close and a decent turnout for Slay Ride will put us over the top! Sneaky Pete’s will be open all weekend and serving some hot booze drinks to help you stay warm. Spectator tickets are $15 for one day and $25 for two days. It should be a rad weekend and a great way to close out this awesome season. Use the Paypal button below to register. Registration is open until Thursday, December 18 at 11:59PM. Late payments will not be accepted and might not be refunded. If there are any issues email us at ClubLoose@gmail.com. Drivers meeting is mandatory. You must attend the drivers meeting before going on track. If you do not attend the drivers meeting, you will not be allowed on track and there will be no refunds. Tech will be open from 7:30AM until noon on Saturday and 8:30AM until noon on Sunday. Your car must be inspected and pass tech before going out on to the track. All rules must be met, no exceptions will be given especially regarding safety equipment such as fire extinguishers or helmets or battery boxes and tie downs. Make sure your car and equipment will pass tech before coming to the event. No refunds will be given for cars that do not pass. For any minor infractions that we decide to allow, you will have to spend some time in the stocks. The rules can be found here: 2014 Rules. Clean up after yourselves. There will be plenty of trash cans so there’s no reason to leave your junk scattered all over the pit area. If you can’t figure out how to do this, I’m sure one of the other drivers will make sure to put all your trash into your car for you so that you can dispose of it as your leisure. Registration can be cancelled up to 3 days before the event. After that, registration can only be transferred to another event as long as notice is sent to Club Loose no later than 4PM the Friday before the event. There are no exceptions. If you don’t email us on time, you will not get a refund or a transfer. And email, no texts, calls, facebook messages or anything other than an email to clubloose@gmail.com. And finally, remember to tag your Instagram posts of you getting ready for the track or working on your car or driving at the track with #godrifting and #slayride. And then visit Go Drifting or Go to Hell! to see what everyone else is up to.